Navarre Beach is full of fun and simple ways to have a good time with the whole family. 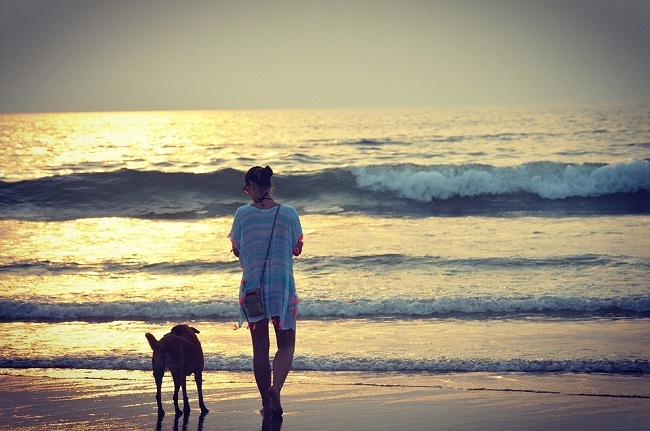 Here are 10 simple vacation ideas that are family friendly and affordable. From fishing to watersports to great food and beyond, here are 10 simple Navarre Beach vacation ideas that you and your family will love. Navarre Beach Marine Science Station – The Navarre Beach Marine Science Station is an excellent place to take the kids. Adults are sure to have a good time too. It’s a great mix of education and fun. Everything is very hands on. The station is located on one of the most scenic beaches in the country. On a clear day the views are breathtaking. The combination of education makes the Science Station a must-see spot for all families. 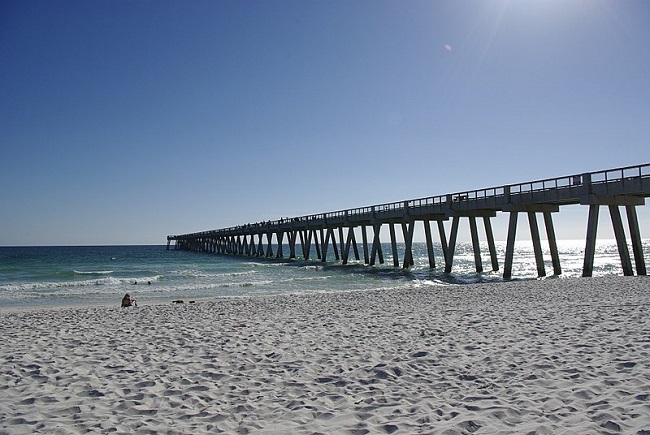 Navarre Beach Pier – The Navarre Beach Pier is a great place for fisherman or someone looking for a great spot to take a selfie with the family. The admission to the pier is only $1 for an all-day ticket to walk or $7 to fish. The sunsets are gorgeous. You may even be lucky enough to see a dolphin on the far edge of the pier. Watersport Rentals – There are several great places to rent equipment for a fun day on the water around Navarre Beach. Kayaks, Jet Skis, Surf Boards and many more are available in the area. 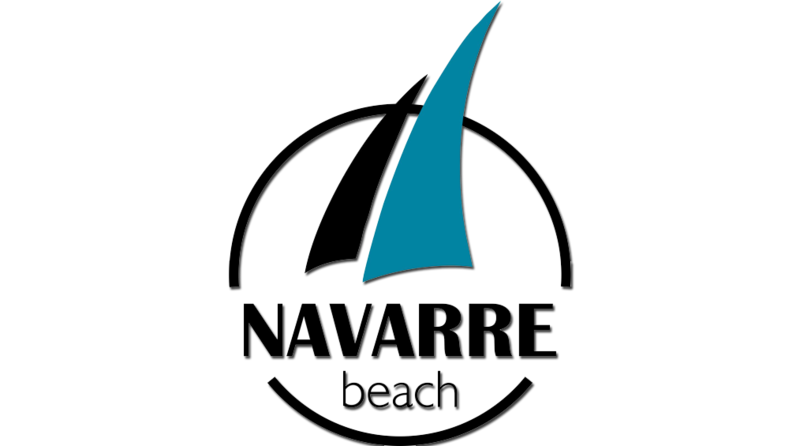 You can find out more here about all the great watersports available in Navarre Beach. Juana’s Pagodas – Juana’s Pagodas is an iconic dining spot in Navarre Beach. No trip here is complete until you have taken your family for lunch or dinner here. The fish tacos are the best in the state of Florida. Find out more information about Juana’s Pagodas today. Panhandle Butterfly House – The Panhandle Butterfly House is a great place for kids of all ages. The butterflies are plentiful. A great place for an amateur photographer to get some great shots. There is also a great picnic area outside of the center. Gulfarium Marine Adventure Park – The Gulfarium is a wonderful spot for anyone that is a lover of animals. They have sea lions, dolphins, and many more animals that you can get an up-close view of. Kids and adults of all ages are sure to have a great time. Do not miss the dolphin show. Exploring the Gulf Island National Seashore/Opal Beach – Opal Beach is located on the Gulf Island National Seashore. 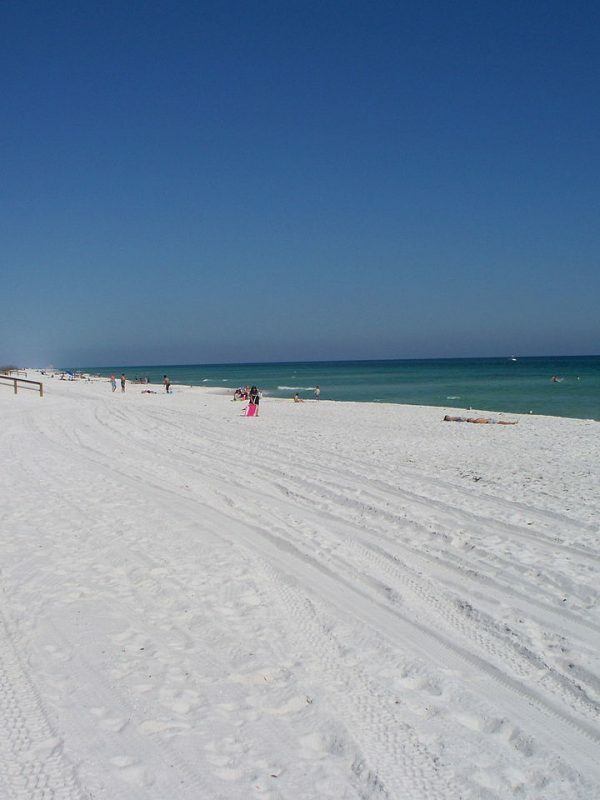 It is one of the crown jewel beaches on the Gulf Coast. The views are once in a lifetime. It’s a great place for the whole family. The facilities are top of the line. Beach Photography – While you are visiting the Navarre Beach area, you should consider scheduling some family portraits. They are very affordable and will preserve the great memories you will make here for a lifetime. Learn more about the great photographers around Navarre Beach right here right now. Gulf Breeze Zoo – The zoo has a very small-town feel. There is a great variety of animals. The kids will love it. Sea Shell City – A great place to pick up a souvenir for everybody back home. Countless different shells and ornaments. Priced to fit all budgets. There is something here for everyone.